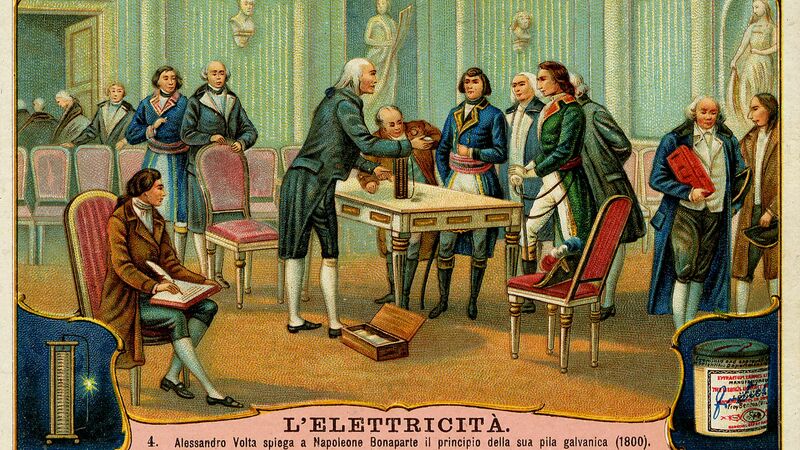 1801: Alessandro Volta presents his invention — the battery — to Napoleon. Photo: Hulton Archive/Getty. One of the most confounding areas of research is the battery, a technology that, while invented more than two centuries ago, is still frustrating scientists. But amid robust electric-car competition pitting the U.S. against Germany, China and other nations, researchers say their hopes are growing for a breakthrough. Driving the news: One of the companies that has attracted much attention is Sila Nanotechnologies, an Alameda, Calif., startup that claims to have figured out how to build a working silicon anode, one of the two electrodes that make lithium-ion batteries work. Why it matters: A breakthrough using silicon would pack much more energy than the standard graphite anode. The problem with silicon, however, is that it expands dramatically in use, shattering the battery. What they did: Sila says it has solved this problem and raised battery performance by 20% over current commercial rivals. Gene Berdichevsky, Sila's CEO, tells Axios that the company's anodes still swell, but that the structure of the electrode absorbs most of the expansion. "We solve this by compensating for it in the particle structure (creating room for its expansion correctly)," he says. What's next: The anode will undergo its first commercial test in consumer devices next year, Berdichevsky adds. Be smart: A significantly better battery is still years ahead. Even companies such as Sila that claim to have resolved a fundamental technical roadblock say they will need to try out their batteries first in small devices, not electric cars. A further reason for caution: The most-discussed startups, including Sila, aren't fully revealing the data behind their claims. In the past, this was a red flag for batteries that were more ideas than commercial breakthroughs.